UK Powered Access has over 10 years providing access platforms to the industry, with their parent company UK Tool Hire having over 20! They saw the potential for demand of working-at-height machines, and now run a fleet of over 300 machines. UK Powered Access has two locations: cherry pickers and scissor lifts from their Ilkeston depot (Quarry Hill ind. 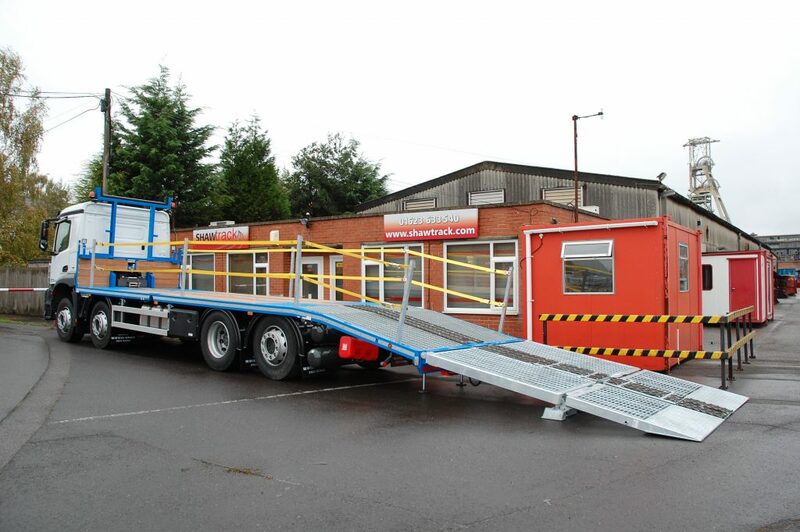 estate) and specialist low-level/push around lifts, as well as truck mounted lifts, from a Bilborough location. 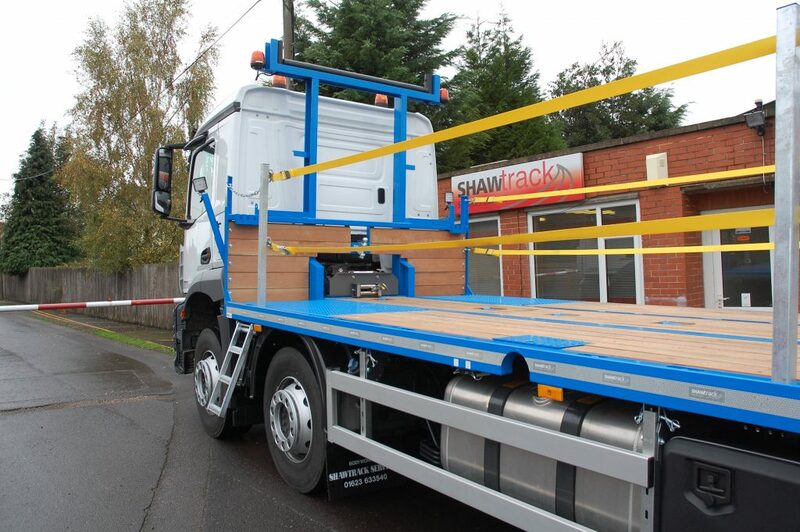 Both locations have HGV vehicles up to 44-tonne low-loaders, so they can deliver kit across the Midlands region. 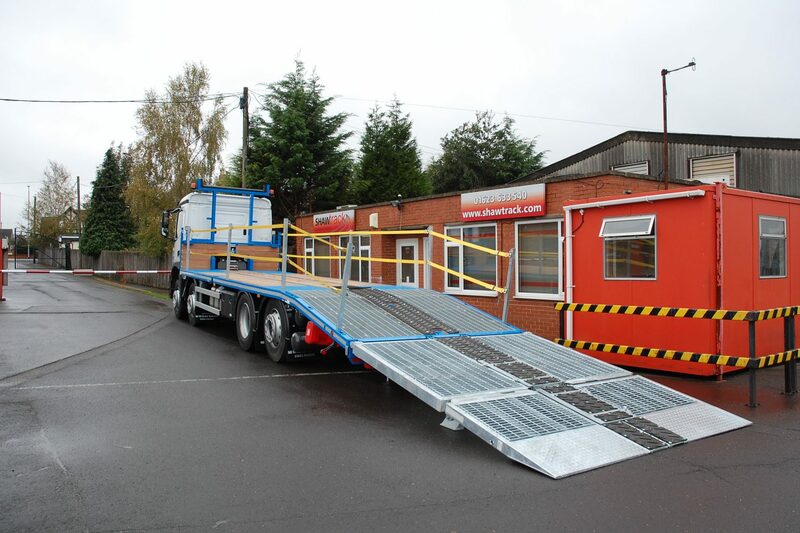 This allows them to supply powered access hire to Derby, Nottingham, Leicester, Lincoln and more. T-Bar boom support to above cab height. Load binder racks with open mesh bottom chain tray. Ten pairs of 12t rated drop-in lashing rings to side rave along outer edge of the body. 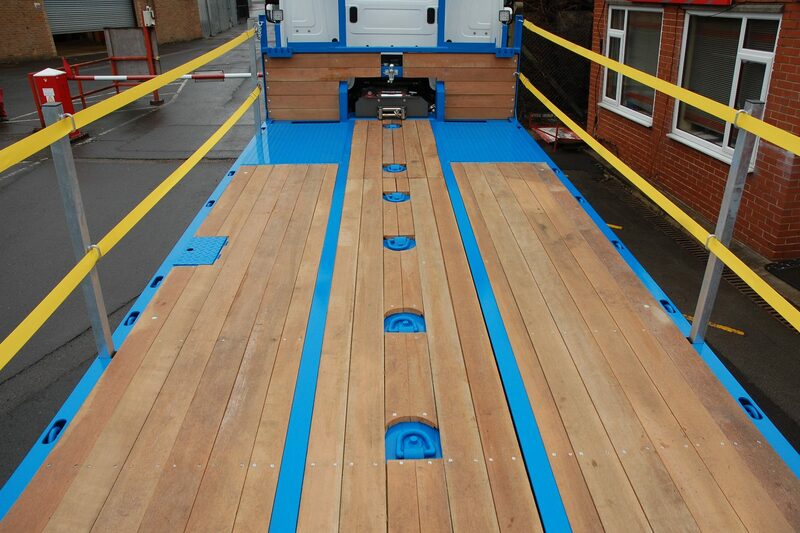 Ten centre mounted flush fit deck mounted lashing rings with centre buttons aligned to outer. Tuck under pull out step to access deck. 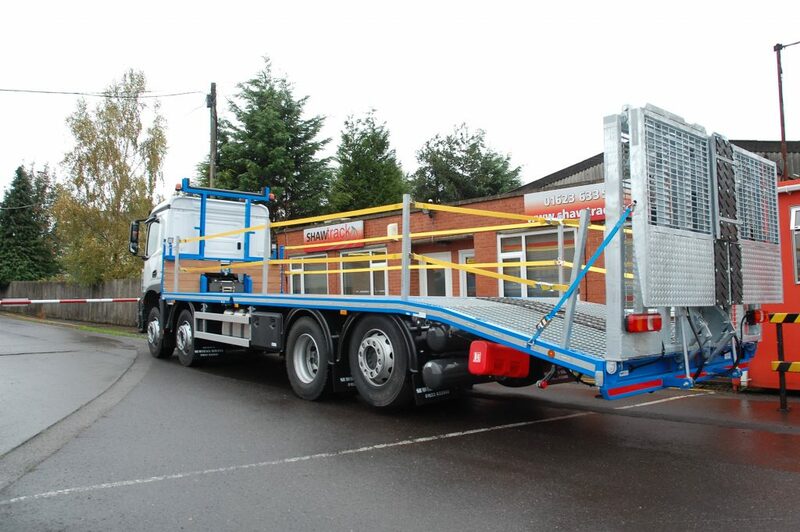 Twin strap and galvanised post edge protection. 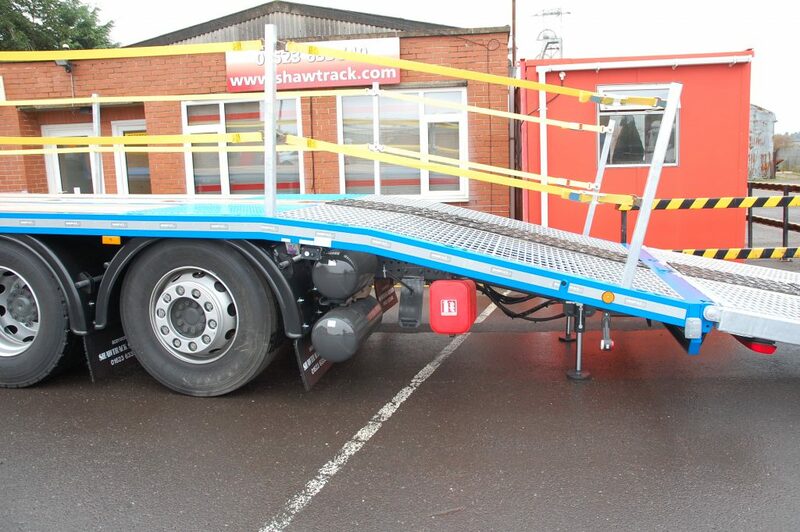 Two chassis mounted Daken toolboxes in support frame. Cone holder to rear under beavertail nearside (no cones required). 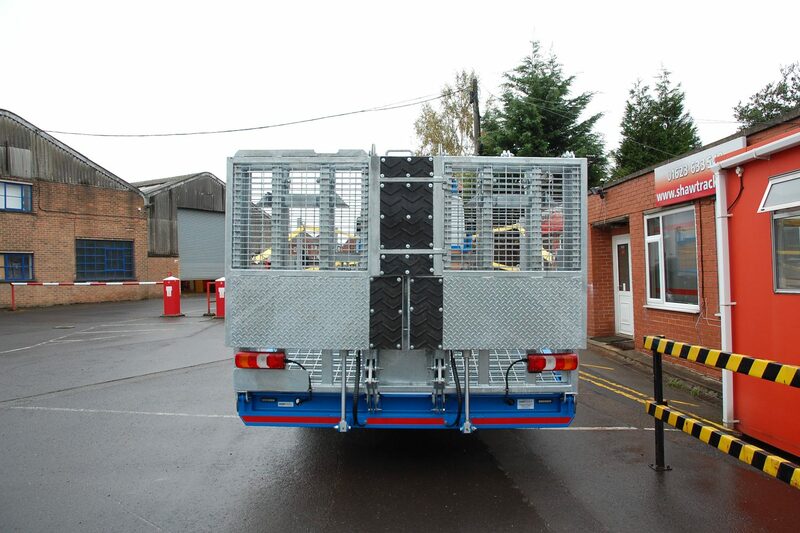 Steel framework to carry single jerry can to nearside. 12v/24v Anderson connectors to both sides at front of body. LED beacons to upper corners of boom support. LED Quad flashes to front grill and rear channel. LED Shawsafe recessed decklights (5 each side).